Research is one of those things the Internet has managed to make better and worse at the same time. More information is available than ever before, and Wikipedia has become a leading name in collating knowledge. Sometimes Wikipedia just isn’t sufficient for your needs. In the old days, this meant hunting through libraries for resources and making notes. It still does these days but can be done using a computer. 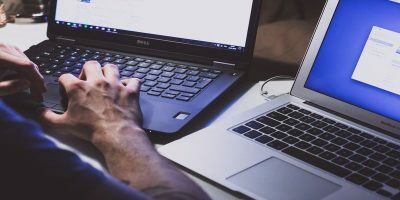 This is where Zotero and other programs of its ilk come in, allowing you to collate information and create a bibliography for essays, papers and reports. 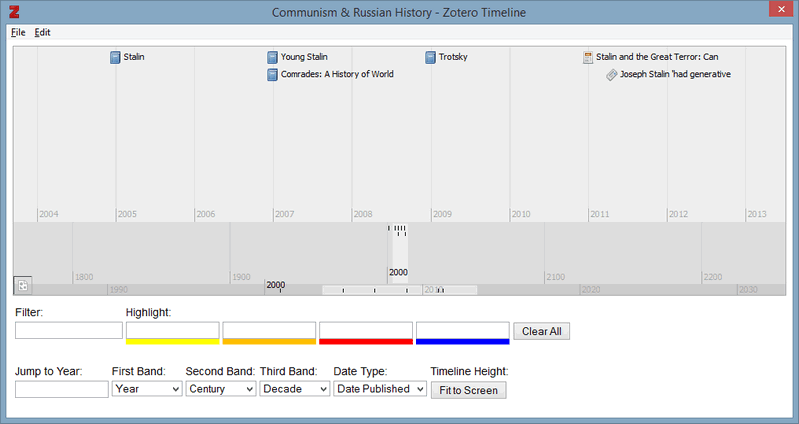 Zotero’s interface is extremely straightforward for a program of such utility. There are three columns, with your “collections” on the left, your sources in the middle, and their details on the right. Collections are essentially the topics you’re researching. Our example features two, but you can have an unlimited number if your interests are sufficiently wide-reaching. 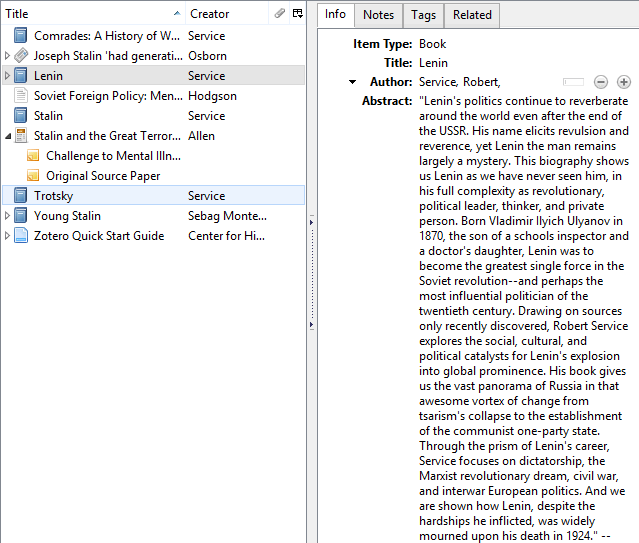 Zotero handles sources neatly, with their names and authors in the middle pane. Should you have a note, or notes, attached to them you can expand this list or close it as you desire. 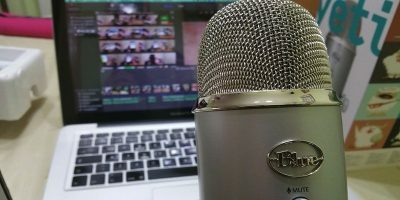 Depending on how you work, you may want to have numerous notes reflecting different chapters, counter-arguments and other valuable details, or just a single note containing a brief overview. Of all the panels, the one on the right is likely to see the most use, being divided into different tabs. 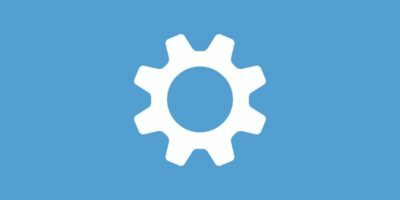 These tabs allow you to view related sources, details on the selected one like its author and publisher, a list of all your notes, and any tags that you wish to apply. The editing of notes takes place in this pane, though it can be popped out and done in a separate window. 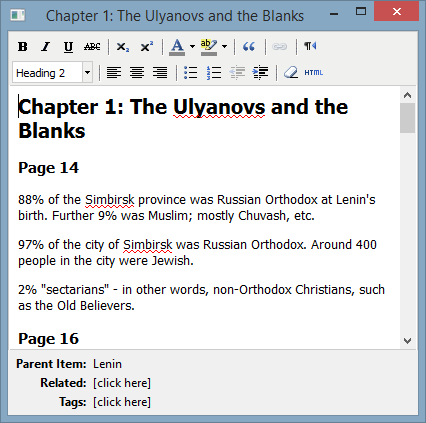 While the editor might not be the most sophisticated in the world, it is still rich text and allows greater formatting than Notepad and its equivalents. Zotero’s main appeal doesn’t lie in its interface. Streamlined as it may be, the program’s real assets are its features. Not all of them are immediately apparent, but they’re there and ready to be used. 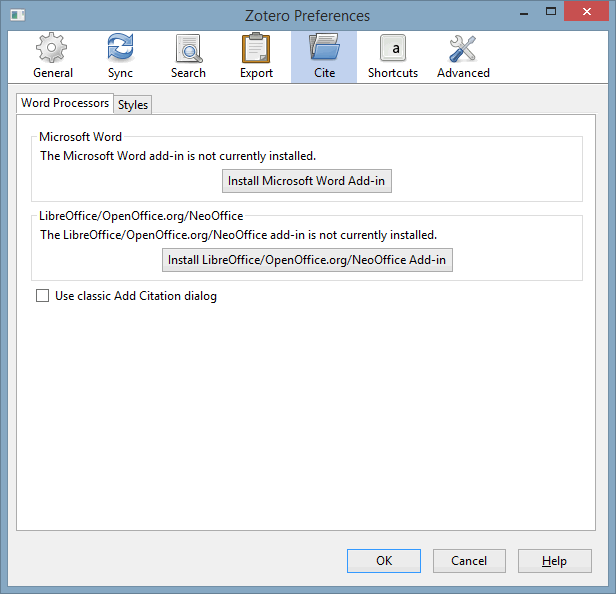 Given that it’s designed to be used in conjunction with software like Microsoft Word, Zotero is more supplementary to your writing arsenal than its replacement – but what a supplement it is! 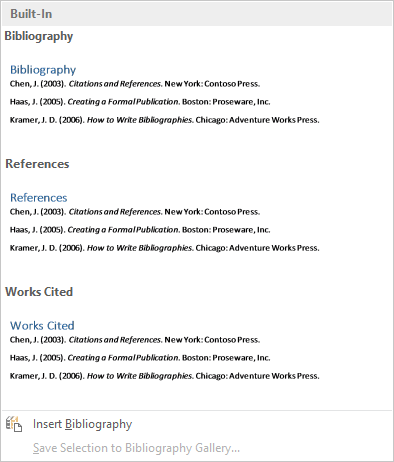 Among other things, it can automatically generate a bibliography in a variety of formats, including typical methods like APA, and Chicago and Harvard, as well as more unusual ones. By itself, the generation of a bibliography isn’t something to be wildly excited by. Even Microsoft Word features a bibliography generator, despite being a word processor. Zotero has a few more tricks up its sleeve to keep you interested, though. 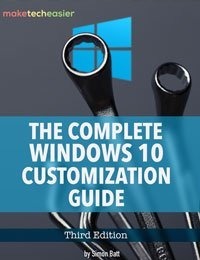 The most enticing of these features is probably going to be the timeline. 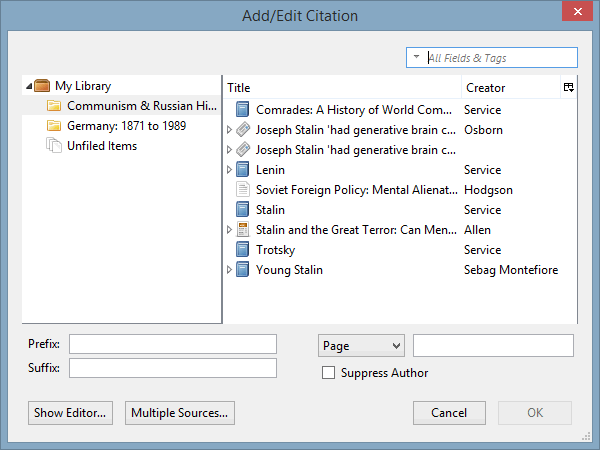 Zotero features support for Simile Widgets and has a few great examples to show their power. Whether you write and research for a degree or for your own entertainment, the example widgets can be fascinating to look at. One chronicles the development of religion from 0AD onwards while another tackles the minutes following JFK’s assassination in 1963. They’re two totally different time-scales, yet the widgets are able to display the detail regardless. 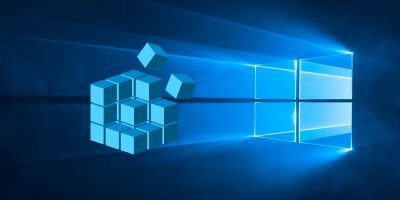 Extensions exist for Microsoft Word and its open-source competitors, simplifying the transfer of citations between programs. 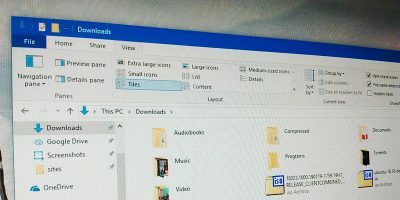 With the extension, additional buttons are found in Microsoft Word’s “Add-Ins” ribbon. 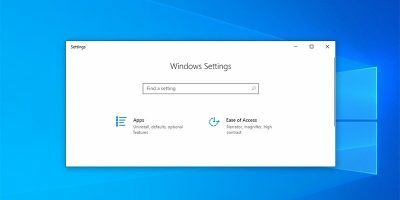 Extension installation is seamless, requiring zero user input, and only one setting exists to help you decide on citation entry method. We favour the “Classic View,” though it is entirely subjective. 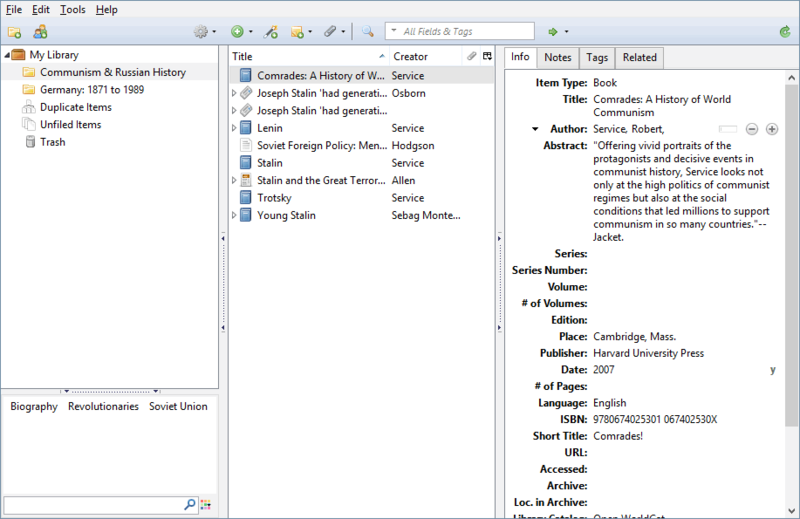 Zotero also shares some of its ancestry with Mozilla Firefox; the “Add-ons” option in the menus opens a window visually identical to that of the browser. 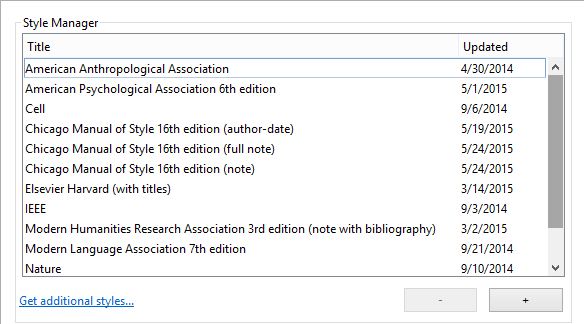 Unsurprisingly, extensions for Zotero are not nearly as prevalent, but they do exist. Installation is exactly as it is in Firefox. 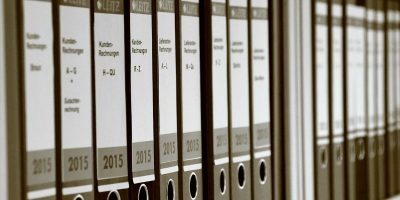 Zotero is one of those rare programs that could potentially change your workflow for the better. 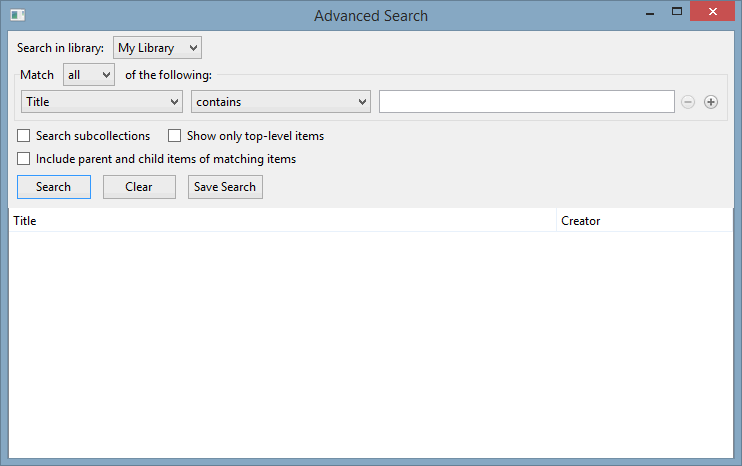 It is by no means the only reference manager out there, but it’s free and easy to use with a minimal difficulty curve. Furthermore, if you’re prepared to pay, you can back up your library to the Zotero servers, meaning you should hopefully never lose any information saved within it. Whether you read into subjects for your own enjoyment and understanding, or you’re in pursuit of a specific degree, the program is one we’d find hard to pass up. Even if you were unwilling to install software, it exists as a browser extension, too.